Product prices and availability are accurate as of 2019-04-20 16:21:38 UTC and are subject to change. Any price and availability information displayed on http://www.amazon.com/ at the time of purchase will apply to the purchase of this product. 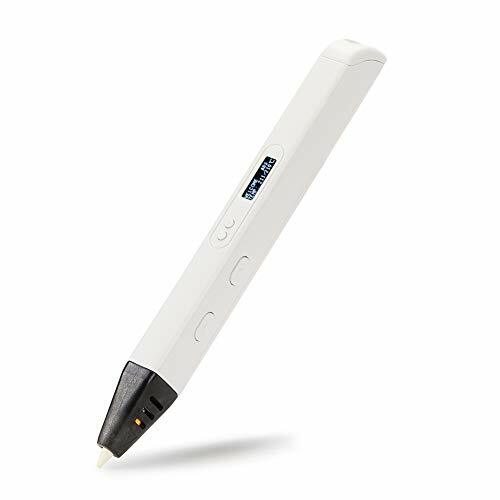 This is a much more powerful and advanced 3D printing pen. You can easily adjust the melting temperature for different kinds of filaments. 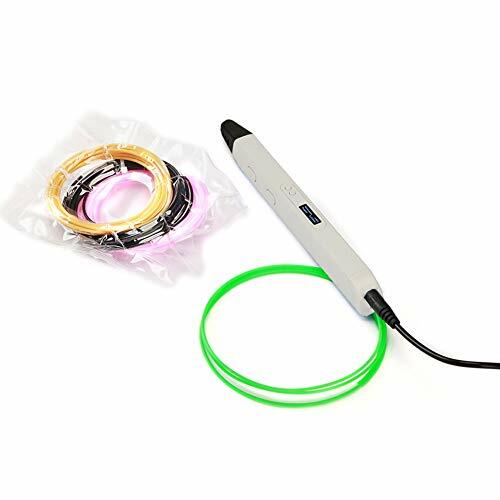 It can not only use PLA/ABS filament but also any 1.75mm thermoplastic filaments melts between 130-240 degrees Celsius, and you can monitor the heating temperature through the build-in OLED screen clearly. Stepless extrusion speed control and more precise extrusion allowing you to create different kinds of art works. 1. Works with various kinds of filaments, PLA, ABS and any 1.75mm thermoplastic filaments melts between 130-240 degrees Celsius. 2. Adjustable melting temperature from 130 to 240 degrees Celsius. 3. Large OLED screen for monitoring the working temperature. 4. Double click for continuous extrusion, relax your finger while draw larger object. 5. More precise extrusion, easier to create intricate works of art. 6. Adjustable extrusion speed for optimal printing performance. 1. STEM Activities in the classroom. 2. Prototyping & Invention, take ideas from their brains to the real world. 3. Improving spatial thinking ability and encouraging one's creative imaginations. 4. Stimulate tactile learning through three-dimensional build. 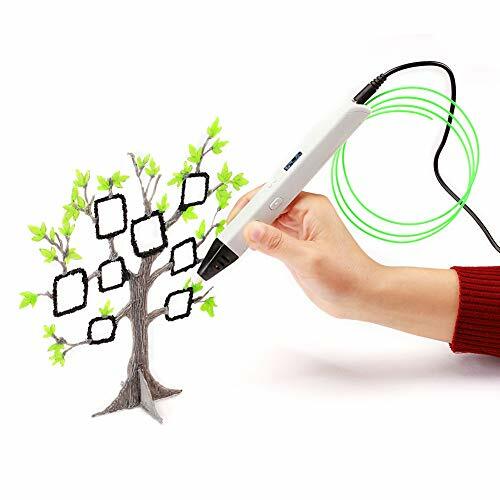 Transform your brilliant ideas into 3D arts with this amazing 3D printing pen. You can easily regulate the speed of the filament for optimal control while you're drawing 3D project. It allows you to use any thermoplastic filaments as long as it is 1.75mm and melts between 130-240 degrees centigrade. 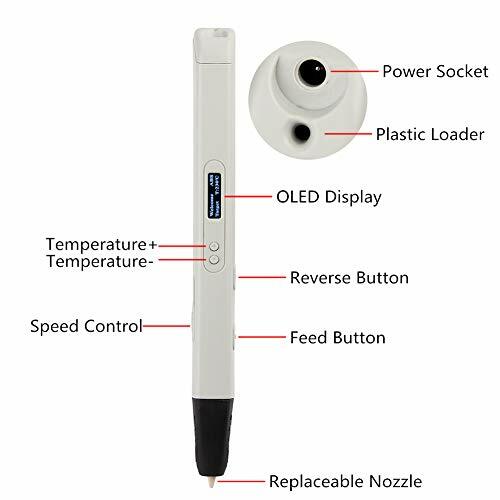 Large OLED display allows you to monitor the melting temperature and feeding speed, help you to achieve better printing performance. 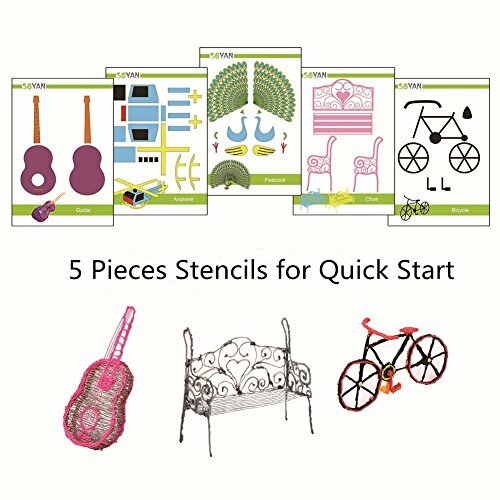 Includes 30ft filament sample and 5pcs paper stencils for quick start. 1 year limited warranty for the 3D pen. Best gift for kid.